This product has been replaced by the LocoNet® Advanced Command Station (DCS240) and is no longer available. Click here to view the DCS240. Big power, Big capacity, for really big fun! 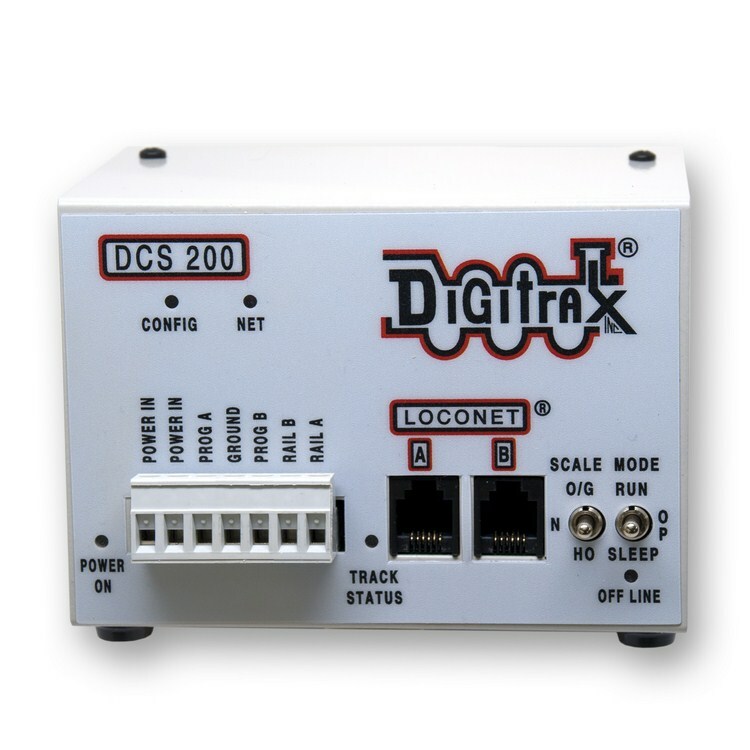 The DCS200 Command Station/Booster lets your LocoNet System delivers 8 Amps of power to run up to 120 locos and 120 throttles. Complete with full read/ write programming, route capability, and a separate programming output so you can run and program at the same time. The DCS200 is the most powerful Command Station/Booster we offer and comes as part of our 8 Amp Super Chief Xtra Set or as a separate add-on to your existing LocoNet system.